Construction Site and Festival Cleanup - Tree Service Express, Inc.
Our new grapple trucks are perfectly equipped for construction site and/or festival clean up jobs. 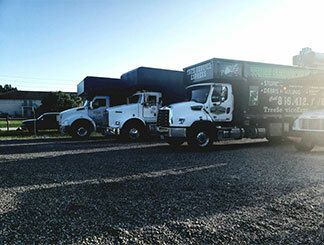 With multiple types of grapple trucks in our fleet, we are able to cleanup EVERYTHING. On construction sites, let us help you remove the old building demolition debris, including large beams and piles of construction materials. Or let us pick up and haul away anything left over after construction has been completed. We can essentially clear the entire space for new construction, so you don't have to pay multiple companies or people to get the job done. Our grapple truck services make that dreaded festival cleanup so much faster too! Imagine the piles of trash and other debris left over after a festival. We can come through and pick up everything to haul away, and even trim trees or remove any in order to make the festival space that much better! Call us today about our grapple truck services. At Tree Service Express, Inc., we specialize in all things tree-related. That might not seem like the best skillset when it comes to cleaning up large construction or festival sites, but you'd be surprised at just how much work we can complete! We're used to clearing large, heavy material from properties as quickly and safely as possible. In our eyes, that makes us the perfect choice for all of your property cleanup needs. If you find yourself in need of help after a construction job is completed (or is about to begin) or after a particularly large festival has concluded on your property, we can help. Running a construction business is no easy feat, and it quickly becomes apparent that every minute is valuable. You can either make money by moving quickly from one job to the next, or you can lose money by spending a lot of time on-site even after the build has been completed. Don't lose money! We understand that construction sites often need quite a bit of cleanup after the construction has completed. The professionals at Tree Service Express, Inc., have all of the tools needed to safely and efficiently clean and remove even heavy objects from your site. We offer cleanup services that are second-to-none! Something else to consider when accepting a construction job is the landscape in question. If it is covered with trees and debris, then Tree Service Express, Inc., offers services you need in order to begin your work as quickly and safely as possible. We can remove any debris present and examine the trees to determine whether or not they pose a threat. We'll remove any tree or tree parts that are no longer healthy and will even trim and prune the ones that are so that you don't have to deal with unwieldy branches or limbs while trying to work. Whether you are just beginning a job or have just finished one, we can help ensure that the site is clean and tidy. When you think of festivals, you probably envision large crowds of happy people enjoying their time outdoors. What might not immediately come to mind is the incredible mess that can be left behind once those crowds have moved on and the party is over. The sheer amount of waste is both overwhelming and awe-inspiring, but not necessarily in a positive way. Whether you are a new festival planner or an experienced professional, it is highly likely that you will need to hire help to clean up the property in question after your event has finished. 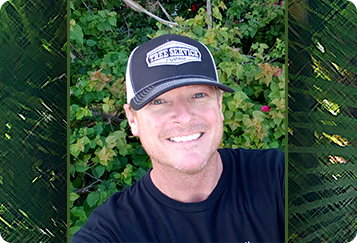 Tree Service Express, Inc., is happy to help! We have all of the machinery and tools necessary to ensure that your property is restored to its prior condition. We'll take on jobs both big and small so that you don't have to worry about it! After all, you probably have plenty on your mind already. Why not let professionals take care of the cleanup process and free up some of your time? If you are in need of cleanup services after your event or on your construction site, Tree Service Express, Inc., is ready to take action. No matter or big or small the job, we are happy to help. Contact us today for more information and to receive a consultation!